Canada's attorney general is keeping the door open to intervening in the corruption case facing SNC-Lavalin Group Inc. amid an intensifying firestorm in Ottawa. "As a final step, I could issue a directive, but the Public Prosecution Service is an independent service. I'm going to let them operate," David Lametti told CTV Question Period in an interview broadcast Sunday. "There is a specific set of rules that would allow the attorney general to direct in a public process and a transparent process through the Canada Gazette and that remains a possibility," he added. "But I'm not going to comment on the possibility of that now because that current case is before the courts." Meanwhile, Conservative Leader Andrew Scheer has written directly to Prime Minister Justin Trudeau asking him to waive solicitor-client privilege so former attorney general Jody Wilson-Raybould can publicly talk about what happened with SNC-Lavalin. 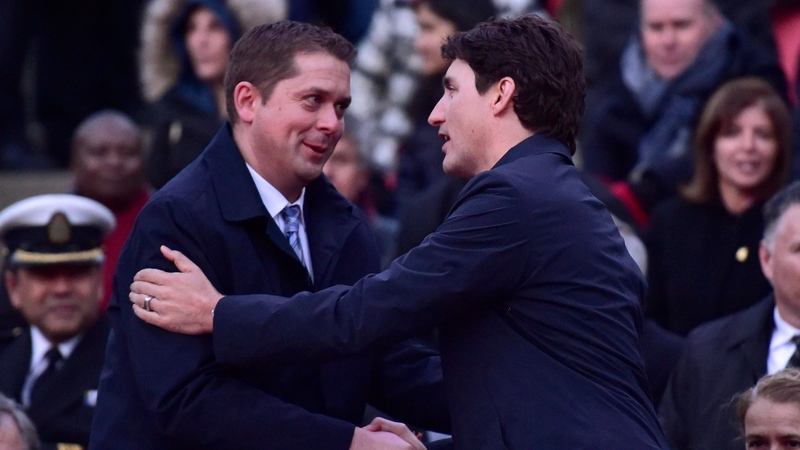 Conservative Leader Andrew Scheer is calling for an emergency meeting to discuss reports that the prime minister's office pressured the attorney general to allow a "remediation agreement" with SNC-Lavalin over bribery claims. Greg Quinn of Bloomberg News reports. Do you think the SNC controversy will be an election issue? Lametti, who replaced Wilson-Raybould as attorney general and justice minister, said in his interview with CTV's Question Period that he did not believe there was any justification for a committee hearing into the matter. Consequently, they said, it was natural for internal discussions to have taken place after the director of public prosecutions, Kathleen Roussel, informed SNC-Lavalin last October that a remediation agreement would be inappropriate in this case. SNC’s stock fell 13.5 per cent the day that decision was disclosed.